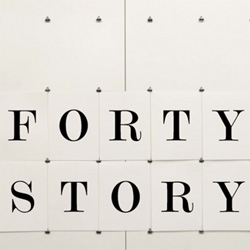 The Forty Story. The story of a boy born on the day Pentagram opened and how his life has been tracked (and kerned) by forty years of Pentagram design. Written by Naresh Ramchandani and Tom Edmonds and directed by Christian Carlsson.